Nearly five years after his final NFL game, and almost eight years since his last contest as a Green Bay Packer, three-time MVP Brett Favre was officially welcomed back, in front of a sellout crowd on Saturday night, July 18, as the team inducted him into their Hall of Fame. The warm reception was a reverse of Favre’s final two appearances at Lambeau Field, when he showed up as a member of their hated rivals—the Minnesota Vikings. But prior to that, Favre had been the main force behind the once-storied franchise’s sudden revival. The Packers were football royalty in the 1960s with legendary coach Vince Lombardi leading Green Bay to five NFL championships, and the team’s first two Super Bowl wins, during one of the most dominant nine-year periods ever. But from the time Lombardi left (following the 1967 season) through Favre’s first year in 1992, the team had made the playoffs just twice—1972 and 1982. Finally in 1991, Green Bay hired Ron Wolf as general manager. Two of his most significant moves were hiring Mike Holmgren as head coach and trading a first-round pick to Atlanta for Favre—then a seldom-used, second-year quarterback out of Southern Mississippi. The former was a great hire, while the latter turned out to be one of the greatest heists in NFL history. Though both were instrumental in bringing Green Bay back to glory, a coach is only as good as his best player and Favre will go down as one of the best ever. His impact at quarterback was almost immediate as the 1992 Packers went 9–7 and challenged for a playoff spot. Favre himself made the Pro Bowl—the first of 11 appearances in the NFL’s version of the All-Star Game for the future Hall-of-Famer. By 1995, Favre had won his first MVP award and the Packers, who were in the playoffs for the third straight season, had overtaken San Francisco as the NFC’s main challenger to Dallas’s dynasty. The following season, Favre, in winning his second straight MVP, got Green Bay over the hump as they beat New England in the Super Bowl for their first title in nearly 30 years. But a return trip to the Super Bowl the next season ended in bitter defeat for the now three-time MVP Favre, who was bested by Denver and a determined John Elway. The next season saw the Packers go down in the playoff opener against San Francisco, and following the loss, Holmgren bolted Green Bay for Seattle, Reggie White retired, and the end of an era was in sight. The Packers would make coaching changes each of the following two seasons (1999 and 2000) and miss out on the postseason each time. With Wolf and his great eye for talent retiring early in 2001, Favre was the last major player from their glory years still playing—though he appeared to be in decline. After making the Pro Bowl five times from 1992 through 1997, the “gunslinger” had missed out on the honor now three straight seasons and it appeared that his best years were behind him. 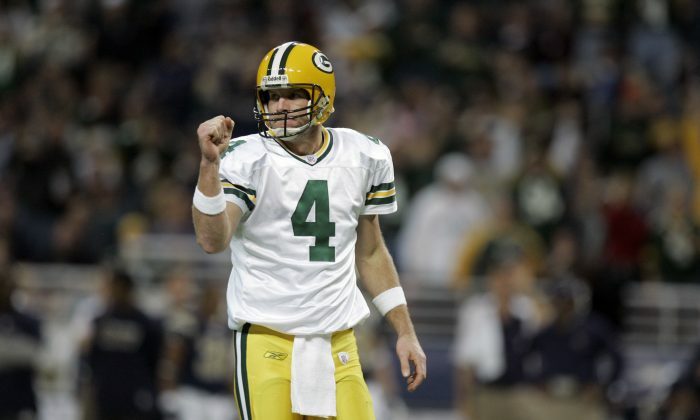 Instead Favre, who turned 32 during the 2001 season, enjoyed a second-wind of sorts, leading Green Bay to 12–4 seasons in 2001 and 2002 and then 10–6 seasons each of the next two years, while making the Pro Bowl three times. Amazingly, he made it again in 2007 after leading the Packers to a 13–3 mark at age 38 as well as in his only season with the Jets (2008) and the following year with the Vikings. Now that he’s thrown his final pass, it’s fitting that he goes into the Packers Hall of Fame right after the man who traded for him 23 years ago—Ron Wolf. The NFL Draft is a well-scrutinized event, yet these ten players slipped through the cracks and turned out to be steals. Baseball's All-Star is the most popular. Here's why.